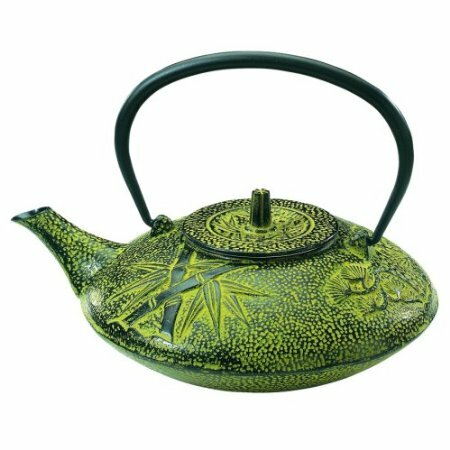 This 38-ounce capacity nobility teapot is simply stunning. With a refined texture, well-defined lines, and highly attractive bamboo and pine prints, this kitchen utensil is a must-have. Its beautifully positioned spout and strategically arched handle very well contribute to its irresistible charm that can easily win the favor of a passionate homemaker.